In the back yard patio to create a warm and inviting area to hang out, a stone fire pit can create this ambiance. Now all I need is to get supplies to make smores and brush up on my storytelling skills. 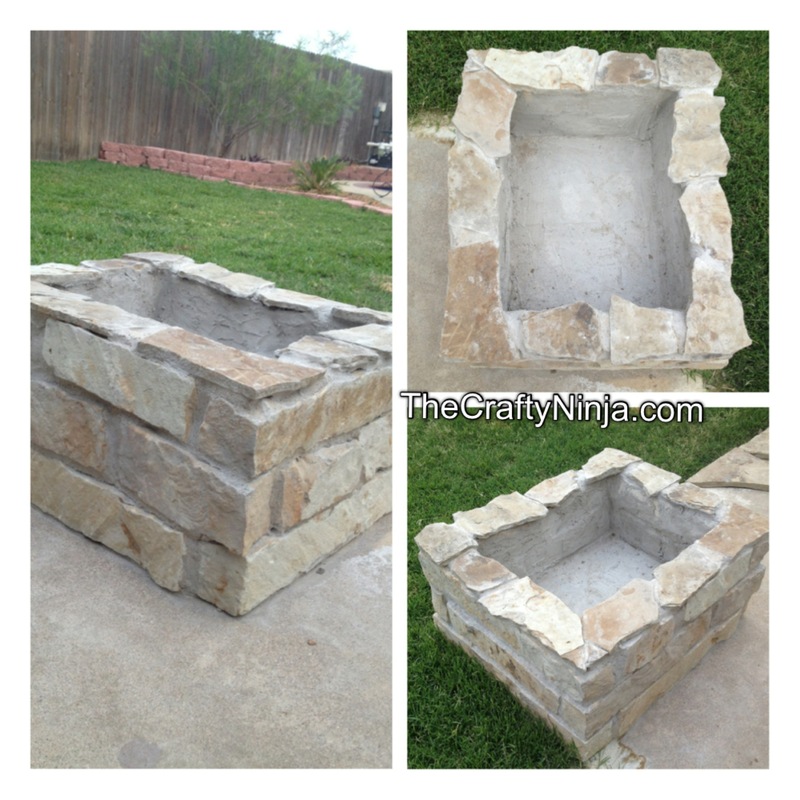 Next to plan out how you want to build the stone fire pit, we did a mock up. 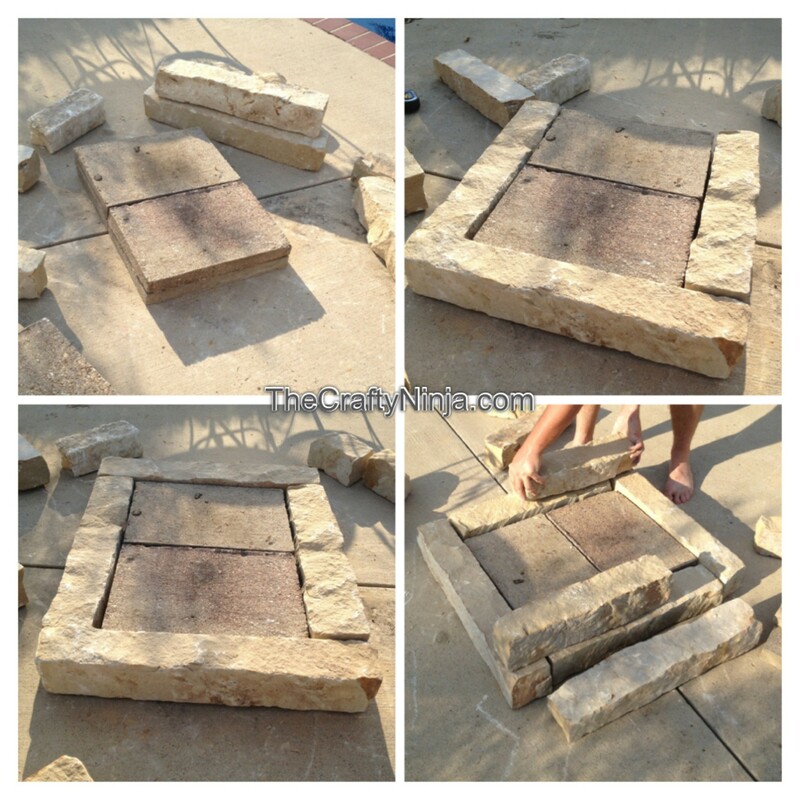 We laid down two concrete step stones as the base and the natural stones around as walls. Next wet the area you will be adding the stone to. 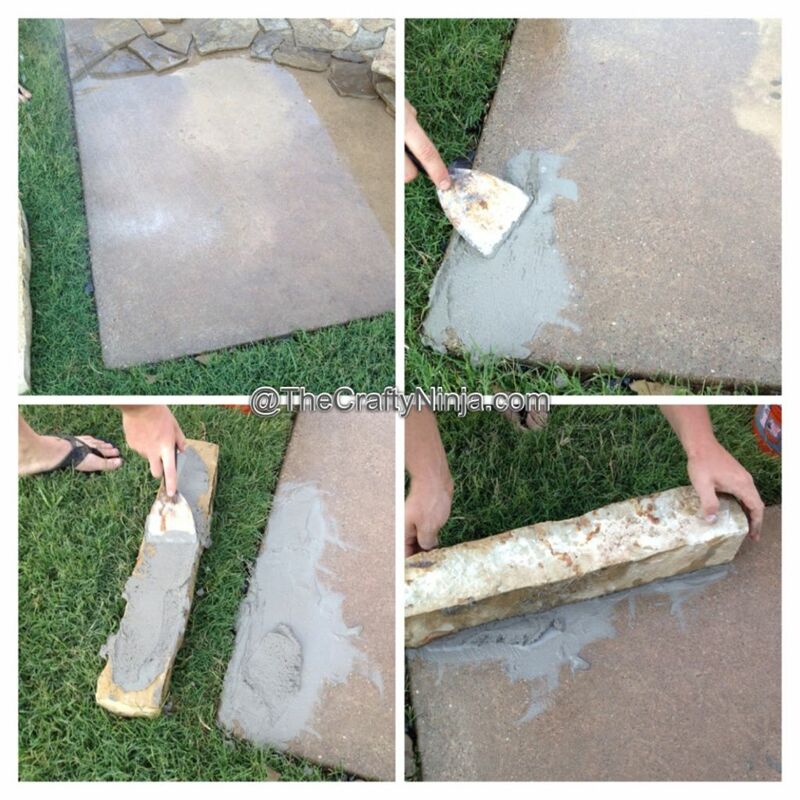 We directly added it to the patio floor and also wet the stone. Apply concert to the floor and stone piece and attach. Repeat adding the concrete and stone and start building. 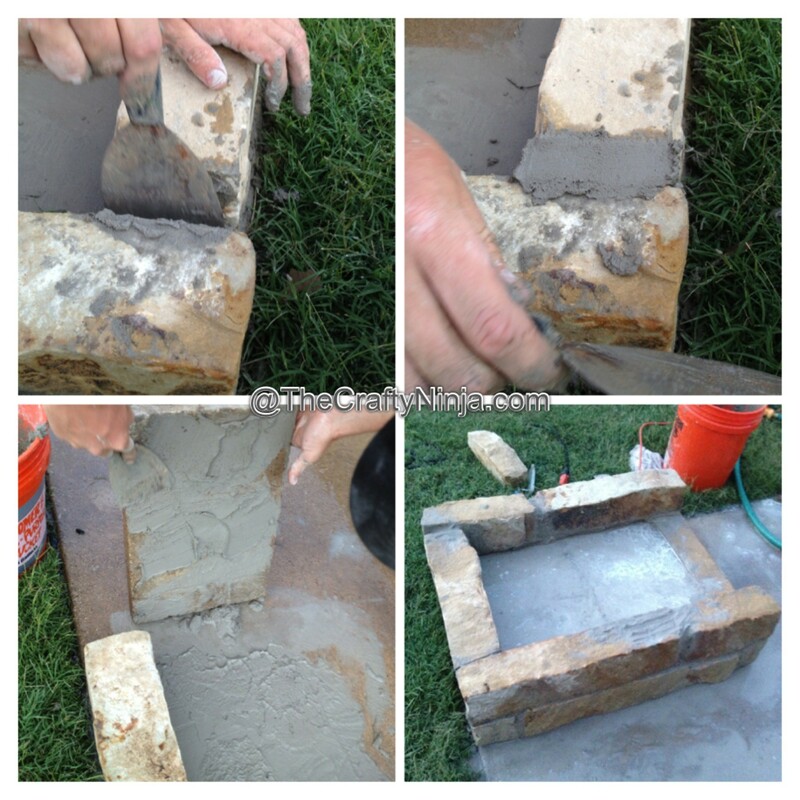 Make sure to add concrete in the joints and smooth out. 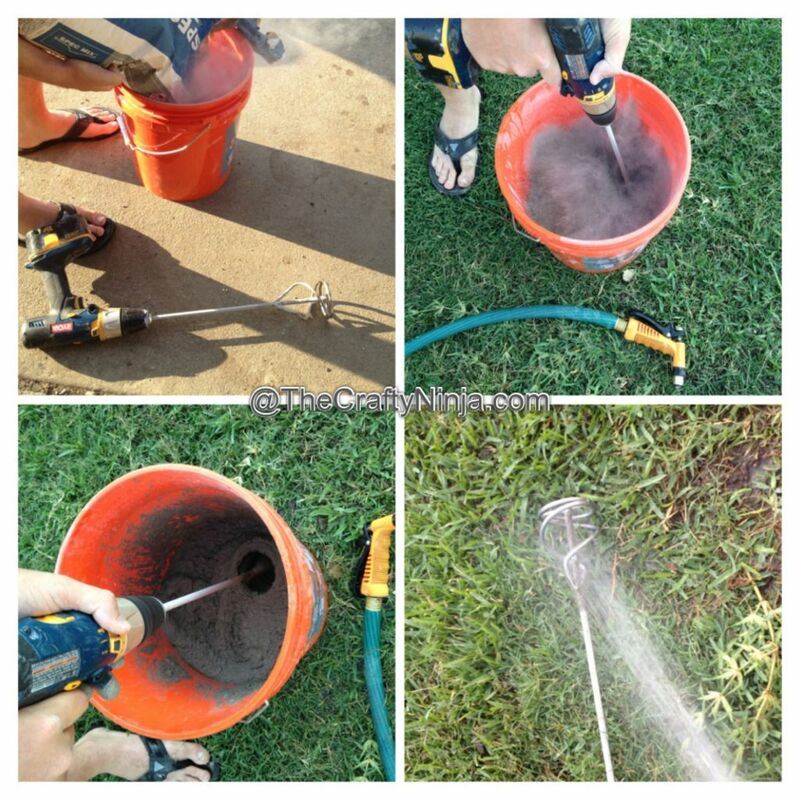 Let dry for about an hour and when finished spray water on the stones carefully to clean off any concrete that got on the stones, be sure not to spray in the joints where the concrete is. The next project is adding flagstone to the patio floor around the new fire pit. Happy Home Remodeling!